Missouri’s football program was slapped with a one-year postseason ban and severe recruiting restrictions last week after it was ruled that a tutor provided impermissible benefits to a number of Missouri athletes. Because of that, rising seniors on Missouri’s football team can transfer to any other school and be immediately eligible to play in the 2019 season. According to a report, a number of SEC schools have contacted Missouri inquiring about those seniors. And Tennessee is one of those schools. Per a report from the St. Louis Post-Dispatch, Tennessee is one of four SEC schools that has reached out to Missouri to gauge interest over any rising seniors who would be interested in transferring to another school. Tennessee, Mississippi State, Auburn, and Texas A&M have all reportedly contacted Missouri. Jon Sundvold, chair of the university system Board of Curators, identified those teams in an interview on WHB 810 AM in Kansas City. He also originally included Arkansas as a team that had reached out to the Tigers, but that was later denied by Missouri’s athletics department. The Tigers have 20 rising seniors on their roster, including eight players who started games last season for them. Offensive linemen Yasir Durant and Tre’Vour Wallace-Simms, receiver Johnathon Johnson, cornerback DeMarkus Acy, linebackers Cale Garrett and Ronnell Perkins, safety Khalil Oliver, and kicker Tucker McCann all started for the Tigers last season. Quarterback Kelly Bryant, the Tigers’ newly-acquired graduate transfer from Clemson, is also a rising senior. But his longtime personal coach, Ramon Robinson, told the Post-Dispatch last week that Bryant is expected to stay at Missouri. According to Missouri head coach Barry Odom, he doesn’t anticipate any of his 20 rising seniors to leave for another school despite the NCAA sanctions levied against his team. Additionally, the aforementioned Sundvold stated that Georgia head coach Kirby Smart reached out to him and told him he would not attempt to “poach” any of Missouri’s seniors off their roster. Tennessee has already added two transfers to their roster this offseason. Michigan defensive lineman Aubrey Solomon and Georgia defensive back Deangelo Gibbs both transferred to Tennessee and are enrolled in classes at UT. 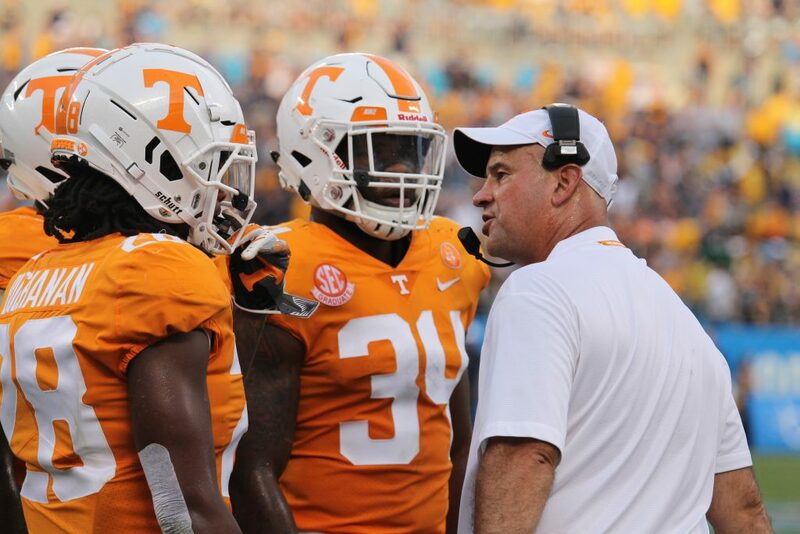 It’s believed both will have to sit out this upcoming season, though there’s hope among those at Tennessee that Solomon could use a waiver to find a way to be immediately eligible this upcoming season. If not, then both he and Gibbs (who is expected to move to wide receiver at Tennessee) will have to sit out the 2019 season and use it as a redshirt year.